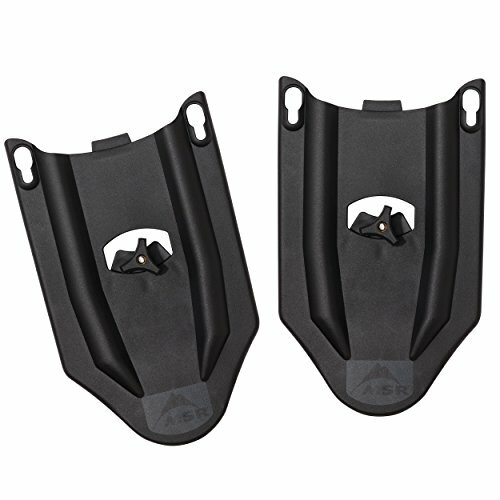 MSR Evo Snowshoe tails add 6-Inches of extra, on-demand snow flotation to any MSR Evo snowshoe. Simply slide them on and twist down the adjustment knob for added flotation in deep snow, or when carrying a heavier pack. The MSR Evo Showshoe flotation tails allow you to select a smaller primary shoe for added agility in packed conditions. They are light and low-profile for easy packing on any trip, and the simple attachment system lets you attach and remove tails without removing shoes. Includes 1 pair of snowshoe tails. MSR products are covered by a three year limited warranty against manufacturing defects in materials and worksmanship. Made in the USA.